The Public Image, LTD makeup artists are passionate about bringing out the beauty within you. We consider makeup an art. In today’s modern, upbeat and continuous changing world we take pride in our ongoing education, learning new skills, and knowing what colors will bring out the best in you. We are proud of our amazing bridal makeup artists. They know how special your big is and will make you look and feel your best. We would also like to offer you eyelash extensions as well as lash lifts and tints. They are trending hot! All women deserve to take time out for themselves and feel beautiful. We invite all of you to realize your personal potential for beauty. Let our makeup artists engage you in an experience that delivers superior service and will bring out the true beauty in you. It’s your special big day. Do not settle for anything less than what you deserve and have been waiting for. Let us ease your anxiety, help you to relax and to look fabulous. It’s time for you to enjoy every moment and create everlasting memories that you will cherish forever. Imagine It, Dream It, Re-think It, Have It, Take your eyelashes to a luxurious new length. We can provide you with gorgeous high-quality extensions that are customized for length, style, and volume. Leave our salon with a stunning set of eyes that are sure to turn heads. This new treatment is a great alternative to eyelash extensions. 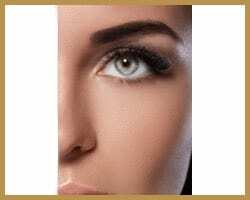 If you are happy with the length of your eyelashes but just want a little boost, this procedure will accomplish just that. This is semi-transparent and will give your lashes a curled mascara look. Remember, beautiful eyes never go out of fashion. All appointments with our makeup artists are subject to 24 hours notice of cancellation.